For study and training purposes, it’s often much easier to break the TCP Code into its seven main chapters. 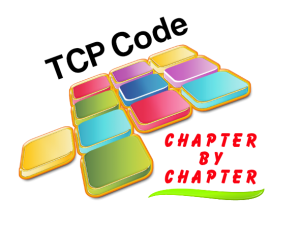 So Cooper Mills has prepared an unofficial version of the Code that separates the chapters, omits the non-essential introductory material and includes, with each chapter, only the defined terms that are used in that chapter. This edition was made possible by the kind permission of Communications Alliance, the copyright owner, and Cooper Mills is making it available at a nominal charge. Download a sample solo chapter to see how much simpler they are to work with. No w you can give the billing department just the Code pages they really need to master, and likewise for other groups within the business. Everyone should have an overview of the Code but when it comes to specialised roles, don’t daunt your team with a 102 page volume. Now you can just print off the chapter/s they really need to master. This entry was posted in Advertising, Billing, Code Enforcement, Complaint Handling, Credit & Debt Management, Customer Contracts, Customer Service, Customer Transfers, Sales, Selling a Telco Business, Staff Training. Bookmark the permalink.